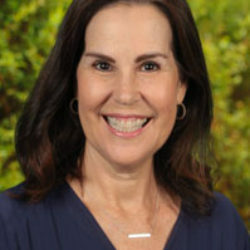 Mrs. Dianne Parker has been teaching music at RHCDS since 1993. She grew up in Los Altos, CA and received a Bachelors degree from American University. Her favorite subject is Music. Mrs. Parker loves working with the children and her co-workers at RHCDS. When she is not at RHCDS she loves singing, playing the piano, dancing, knitting and spending time with her family. She has 3 children and 6 grandchildren.